Learning has never been made easier than now with the advent of the internet and various other technologies—apps, podcasts, movies, TV series, blogs, websites, radio shows, games, textbooks, software; all are now available at the click of a mouse. 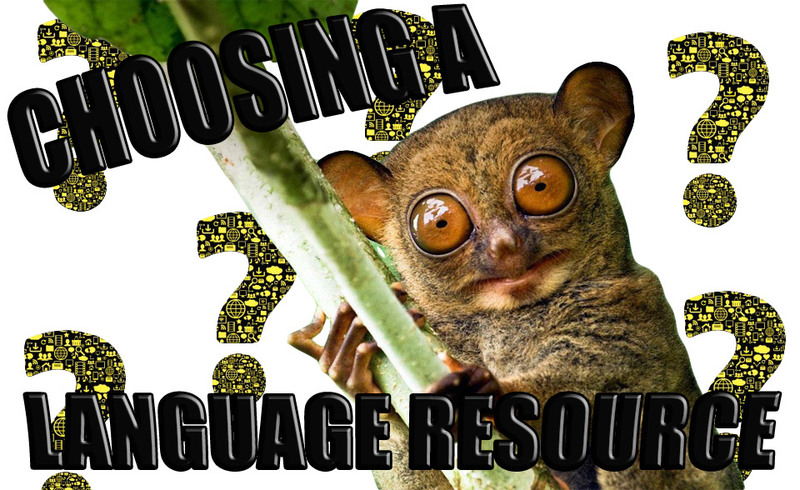 Yet this development has proved to be somewhat of a double-edged sword: such a wealth of information has, on the one hand, created a poverty of attention, and on the other, it has made it harder both to choose the kinds of resources that might work for you and keep you focused on what ultimately matters to become a successful language learner. It’s not uncommon for people to get super excited when they begin learning a new language. They feel like buying every single book they can get their hands on, downloading every possible app, buying the latest and most expensive software, and reading every possible blog post that talks about the language. Spending time, effort and money on something often makes us feel good about ourselves. We pat ourselves on the back, and then go on about our daily business and somehow forget the initial purpose that all of this was supposed to have. Does this perhaps ring a bell? Today, I’d like to propose a simple solution, and give you some guidance so as to ease your life and not make it as if you had to look for a needle in a haystack. Sounds like a good plan? A while ago, I had a great interview with Luca Lampariello, a well-known polyglot with a tremendous amount of experience learning languages (over 12 in total) and lots of priceless advice. In the interview he gave two very important pieces of advice that I’d like to expand on a little bit here. First, you need to be aware of the level at which you are at in in your language studies, i.e. 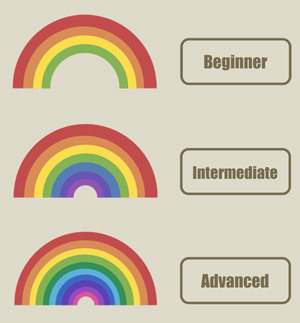 beginner, intermediate, or advanced. This is important because the way you learn and practice your target language (L2) varies significantly depending upon which level you find yourself at. Somebody who has been learning French for 2 years and who can hold an everyday conversation in the language will (or at least, should!) approach its study/practice in a very different manner than an absolute beginner who can only say “bonjour” and “merci”. This sounds simple enough, but most people are totally unaware that they should change their approach to language learning as they progress through these stages. Before we skip to the next section where I’ll actually give you some advice as to what kind of resources you might want to look for, keep in mind that once you reach an intermediate level in your target language (“B1 level” according to the Common European Framework of Reference for Languages), you’ll definitely want to start diversifying the resources you use. That’s because reaching this kind of level naturally calls for diversification—you’ll be able to slowly start understanding native content, to a certain degree, such as simple books, TV series, music, movies, etc., which make learning languages so much more fun. Are you the type of person who is absolutely horrified at the prospect of learning any kind of grammatical rule? Do you like glossy paper and colorful pictures, or could you care less? Do you prefer learning through dialogues or through lists of words and drills? Are you too busy to spend any time learning at home? These are the types of questions that you might want to ask yourself. To serve as an example, I’m a busy person and I don’t like, as a general rule, methods that focus too much on grammar and drills. Because of this, I usually focus my efforts, in the beginning stages, on two methods: Pimsleur, for when I’m on the road, either driving, taking the bus, or walking, and Assimil or Teach Yourself (depending on the language) when I’m at home or in a café and I have enough time to sit and read through a couple of pages and listen along with the CD. This works for me because I see Pimsleur and any of the other two methods as complementary: one is almost strictly audio and can be used during so-called “transition time,” and the other two are suitable when in a quiet and comfortable place such as home. If you prefer straightforward and more “traditional” types of resources that cover grammar, lists of words, verb tables, and other such kind of things, I would say go for Colloquial or Living Language. If you prefer learning in an “inductive” manner, without much grammar and lists of words, go for Assimil. If you’re a fan of audio-only methods and you like memory aides such as mnemonics, go for Michel Thomas. If you’re an intermediate learner, you want to take your skills to the next level, and you’re looking for a good, thorough overview of the language, go for the “A Guide to Contemporary Usage” series. If you have a younger child who might find any of this either too dry, hard, or boring, try a software such as Rosetta Stone. The point is, find the resource(s) that is as likely to be the best fit for you, and stick with it. Develop a routine, be consistent, and go through the whole thing. If you’re interested in learning more about the resources I’ve listed above, feel free to visit the “Reviews” page on this website. But once again, don’t get sucked into the idea that purchasing a whole bunch of resources will somehow make you learn the language magically. It won’t. I hope you’ve found some of the information I’ve provided here useful, and I’d truly love to hear from your experiences and hear whether you agree/disagree with any of what’s been said in this post. Have you had the experience of buying a whole bunch of resources that ended up mostly collecting dust on your bookshelf? Have you been able to focus and get past through the beginning stage of language learning? Share your experiences with the rest of us, ultimately this is what will make us learn from each other and become better learners. And don’t forget to visit Lingholic’s Facebook Page and follow me on Twitter! Great advice. I researched every online tool I could find, and chose Duolingo and Rocket Italian. As you said, I had to force myself to choose and focus on those two, instead of getting distracted by the next shiny thing that I saw advertised. My wife, on the other hand, is using Rosetta Stone, which better matches her learning style. Now that I’ve been through Duolingo and Rocket once, I’ve shifted about half my time to reading Italian magazines online, using Google translate what I can’t understand on my own. I also listen to italian radio and Italian opera, but these are still difficult at my level. I’m just at the point where I’m looking for people to converse with. I’ve never heard about Rocket, but Duolingo is an app that I found useful and I see it as compatible with pretty much any “standard” type of textbook. I think it’s great that you’re doing a lot of reading online. Have you found any site that has both English and Italian translations? I’m very interested in international affairs and things such as political and economic analyses, so I really enjoy reading articles on Project Syndicate (http://www.project-syndicate.org/). Of course, that’s not everyone’s cup of tea, but the website is great because most of the articles are profesionally translated in about 8-10 languages (including, most of the time, Italian). I’d be interested to hear whether there are some other similar sites who provide translations for their articles. My favorite Italian magazines are Panaorama, RAI News, Google News, and La Stampa. These all have excellent mobile versions. Perhaps you have some other suggestions. Also, Google Translate does not pick up idiomatic expressions very well and translations can often be awkward and unnatural. Just a heads up! As far as the pop-up add-on, I use it very often and I’ve even made a video about it on my YT channel. It’s very useful! Yes, I agree and am aware of Google Translate’s limitations. It often can’t translate a passage at all if idiomatic. But I’m at the point where if I get some help on the literal vocabulary I can usually figure out the idioms. Italian politics is particularly difficult for me and for Google translate. Neither one of us can figure out all the colloquialisms these writers throw in there! And Google translate is nearly useless for Italian opera, at least for Mozart. The language is just different enough that Google is baffled. For that I need a side-by-side translation. Love your blog. It’s one of my very favorites, and always exceptionally useful and inspiring. Thanks. Thanks Semaj 🙂 Great to hear from your experience. How is your Chinese going so far? Which resources have you chosen to use? I’ve read your post on your blog about your decision to restart the language. Motivation does have its peaks and troughs, but it’s good to see you’re back learning it. Keep up the good job with the blog, it’s great! This site has zip files of all pronunciation files and also has the keys to the workbooks. I prefer doing the slides on my iPad, because you don’t have to keep clicking the mouse to go to the next addition to the slide. I like this site immensely because it really hammers home the hangeul, with full face and side views of how the vowels and consonants are pronounced. It also challenges you to really listen. I like this site because it has a lot of challenging games and tests. Learning a new language is challenging, but the best investment is time, rather than money. I will say, however, that I did invest a couple of dozen dollars on some good apps for my ipad. From Innovative Languages I got the Korean Vocabulary builder app. It only cost 10.00. I also got BYKI, which was 6 or 7 bucks, I think. Thanks for sharing those nice and free resources with us Mme Scherzo. I think free resources are good and some available on the internet are in fact phenomenal and might be as good or even better than some textbooks that you have to pay for. However, one problem that I have experienced with free resources and things such as YouTube videos is that while they are good as reference, they don’t make for very good step-by-step methods that guide you through from beginner to, say, intermediate level (i.e. build upon previously acquired vocab, etc.). The danger is to get stuck in the beginning stages by only dealing with scattered resources (also hence my advice to only stick to one or two good resources until one reaches an intermediate level), which makes it easy to lose focus and get lost. In any case, thanks for sharing your resources. I’ve seen KLEAR before, and I did listen to a few videos from Busy Atom (I think the ones where he talks about the Busan dialect). Let me know how your Korean studies are going! I agree completely about the step-by-step instruction. I had studied French in school and couldn’t speak it when I got out. Complete and total humiliation. What I did was ‘reteach’ myself, using a question/answer format, applying the principle of how I would answer the typical questions put to me by anyone visiting from France or Canada. 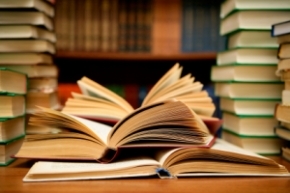 It forced me to think beyond textbook order into really utilizing a natural way of approaching the language – almost the way children approach language acquisition. When learning verb tenses, I found the 501 Verbs books most useful for teaching both the tenses and idiomatic uses all at once. I also spent hours just listening to the language, taking the kind of approach I take to listening to a piece of music I am learning to play: In music, that was all the elements: Harmony, melodic structure, bass lines, rhythm and dynamics. In language, as one polyglot pointed out – resonance matters. Lilt, accent, whether the voice is placed high or low. Language and music are intertwined in such a way as to be two sides of the same coin. When I use textbooks, I always got them at library book sales, or online. I also spend a lot of time just talking out loud or reading out loud. I haven’t tried ‘shadowing’, although I hear it is challenging. I did test out Rosetta Stone’s Arabic language program way back in the early 2000’s when they were still trying to develop the program. While it was tedious and dull, I will tell you that I remember everything I learned on it! I can’t say the same for some of the textbooks and recordings I have used over the years, but Rosetta Stone was successful that way for some reason, for me, anyways. Great post! I discovered it while working on a post of my own on the same subject. I agree with a lot of the resources you’ve recommended and that the level you’re at plays a huge role in selecting the right materials. I still have yet to find something that really helps me improve my reading/writing in Japanese and Mandarin. I know there are a ton of great resources out there, I just haven’t found my perfect match. Take a look at the “Guide to Contemporary Usage” series (see link in post above), they have a guide for both Mandarin Chinese and Japanese and the books are really good for those intermediate learners who want to make it to the next level. They are very concise and if you’re looking to improve your reading and writing skills, I think they might be what you’re looking for. Hi Sam, I appreciate the recommendation. I will definitely take a look.